Paradigm Initiative Nigeria (PIN) will host the 5th edition of the annual Internet Freedom Forum from April 25 – 27, 2017 in Lagos, Nigeria. To this end, registration for interested participants and submission of proposals for side-events/session is now open. 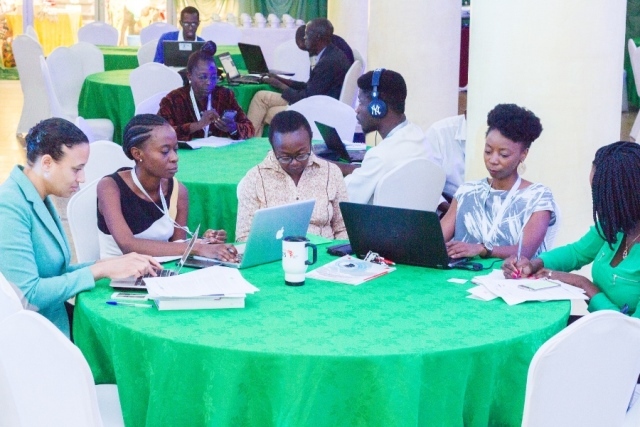 The annual Internet Freedom Forum is a major Forum in Africa where issues on Internet freedom and digital rights with particular focus on indices around Internet Freedom in Africa are extensively discussed. The Forum draws participants from both within and outside Africa and there is also an array of speakers and panellists from different multi-stakeholder groups including Internet Freedom Advocates, Policy Makers, the Technical Community, and Businesses selected to speak at the event to further enrich and broaden the conversations around Internet rights and freedom in Africa. To register for the event, please visit: https://pinigeria.org/iff/register/. In the early days, I worked from PIN’s training centre in Ajegunle, Lagos; now known as the LIFE Center. I personally interviewed nearly all the teenagers coming into our ICTs, Life Skills & Entrepreneurship training program (now known as the LIFE Program) at that time. I remember those early days when I would exit the interview room and run to my desk to shed tears. I remember *Joan who was only fifteen, had 7 sisters, lived with her mom who worked as a cleaner in the hospital and ‘hustled’ for a living. I was later to learn that ‘hustling’ in the sense she had used it meant sleeping with men for money. I wept when *Sade told me weeping herself, that the father would not allow her study free of charge at the centre. “He said I would get pregnant eventually, so before that happens I have to work and contribute my share to the family.” I remember a very young boy of fifteen covered with sores. He was working at a building site to keep his younger brothers in school. They lived in a church. When I asked of his parents, he told me his mom had died, and his father had relocated to the village with all his three sisters! Why the girls?! I don’t know if I wept more out of pity for the young boy in front of me or for the future of his sisters who had been shipped off to the village. At least the boys were here – had a chance at the program. But what about the girls? We worked hard, my team and I, to get more girls into the program. But first of all, we had to earn trust in the community. And that meant that the value of ICTs, especially for empowering the girl child had to be appreciated. The more our success stories emerged and spread, the more ground we gained in our efforts. We went from less than 15% girl participation in 2012 to 53.1% girl-participation across 3 centres in Nigeria, including Kano in North East Nigeria. In 2007, Paradigm Initiative Nigeria (PIN) conducted baseline studies in Ajegunle, the most popular and most populous slum in Lagos Nigeria in order to determine the access that young people had to web-enabled technologies. 46.5% of the respondents were girls between the ages of 14 and 26 years. While up to 48.7% of female respondents had encountered a computer mostly in a common learning room at school, only 7.9% of the girls had learnt any useful or productive skills and only 8% of them owned or had unrestricted access to a PC. When asked why, answers range from lack of money (to purchase PCs or other web-enabled devices or pay for training) to no time or lack of parental consent. Qualitative data gathered in a series of focus group discussions held more recently (2015-2016) with women and girls in the same location revealed that women and girls especially face even deeper barriers than their male counterparts in accessing and using the technology. High costs, socio-cultural biases (such as women’s role in family life or male dominance and supremacy), and access to education and knowledge seem to be the underlying critical factors. While some already use technology to one degree or other, they identified cost of access (to devices and the web) as the main constraint to access and use of web-enabled technologies. Fewer still understood the benefits of web-enabled ICTs, and even less had the skills required to access or create valuable online information. Worse still, more than half the girls on the focus groups had experienced harassment and bullying online, but none of the victims had either reported this to anyone or confronted the perpetrator(s). When asked the reason for this ‘silence,’ silence filled the room. In many African cultures, girls are raised to be subservient and accepting. They are not expected to ‘raise’ their voice or be heard. This ‘culture of silence’ by itself is responsible for the perpetuation of many forms of discrimination against and abuse of women and girls. There is research evidence to suggest that there are greater possibilities for socio-economic empowerment for the girl-child through web-enabled ICTs. Access to technology and training is a basic requirement for girls’ participation in the global information economy. 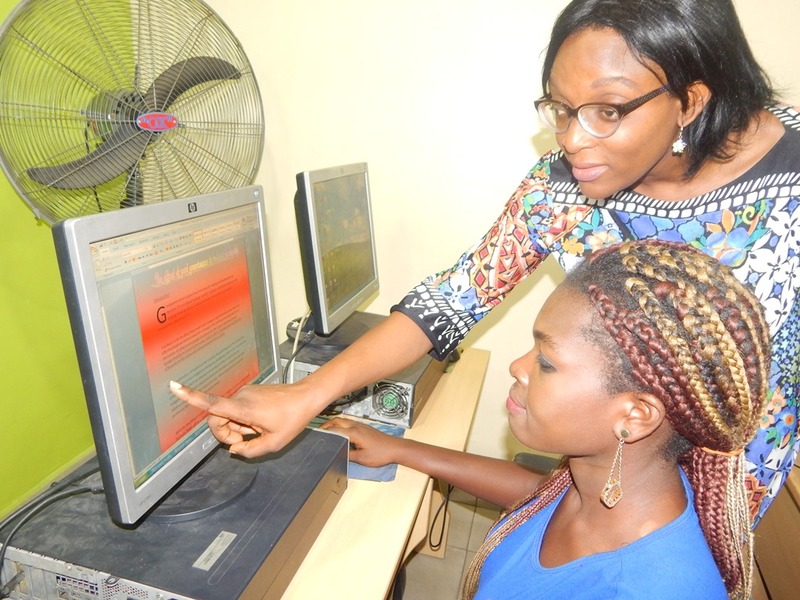 Addressing these barriers that girls face to accessing ICTs will solve the problem of economic dependency and low self-esteem by giving the girls demand-driven and essential digital skills, and possibly connecting them to jobs. PIN will focus even more in the coming years on digital inclusion and digital rights for the girl child through both its capacity building program and policy intervention initiative. It has become imperative to do this, and more; for the future of the girl child in Nigeria. Tope Ogundipe currently serves as Paradigm Initiative Nigeria’s Chief Operating Officer, overseeing its 5 offices across in Nigeria, including the ICT Policy Office in Abuja focused on internet freedoms, cybercrime and women’s rights online. She supports the development and implementation of strategy for PIN’s growth, design and implementation of programs. Her consulting experience includes assignments completed for the World Wide Web Foundation and Microsoft Nigeria. 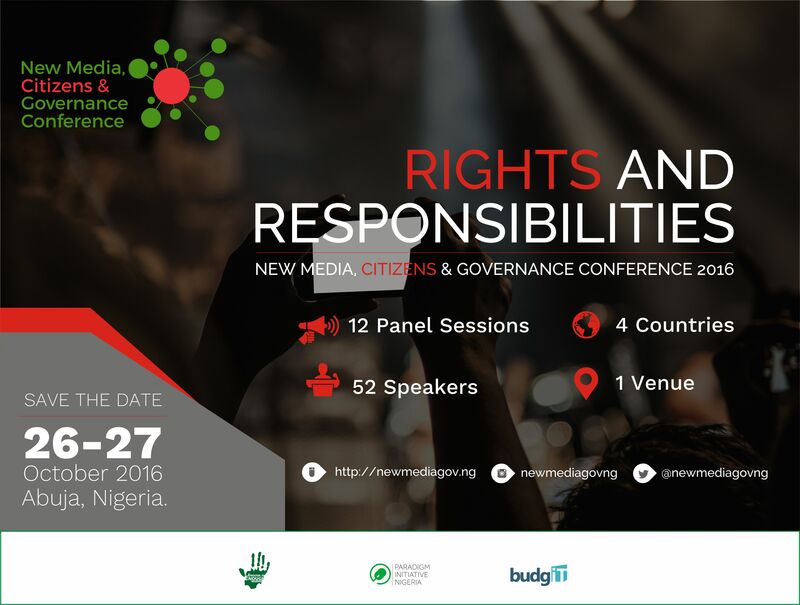 EiE Nigeria, Paradigm Initiative Nigeria and BudgIT invite you to the ‘New Media, Citizens & Governance Conference’ from Wednesday, October 26 – Thursday, October 27 in Abuja. EiE first co-hosted a New Media and Governance Conference in 2012 to bring together policy makers, civil society, academic institutions, private sector, and youth to explore the use of new media for improved governance, accountability and civic engagement. This year’s conference will build on this with a particular focus on ‘citizen’ as the bridge between the new media tools and governance outcomes. Panel sessions include Advocacy and New Media; New Media and National Orientation; Social Media Conduct 101: Thou Shalt Not Gaffe to mention just a few. Our headline sponsors Facebook and Google will be active participants in the conference. Please save the date and register here to attend. We look forward to welcoming you to what promises to be an engaging conversation over 2 days.